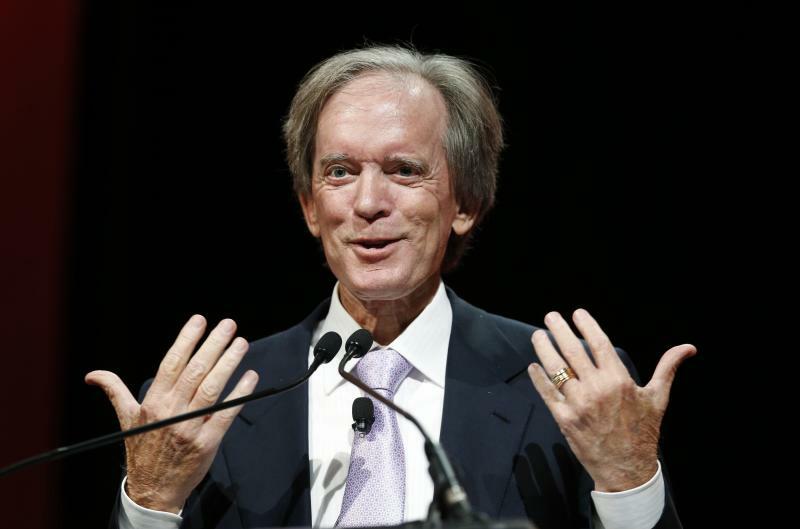 The report that bond-fund giant Pimco paid its co-founder and now-exiled investment chief Bill Gross $290 million in 2013 triggered an immediate and unsurprising rush of awe and head-shaking Friday. Such a profusive pay package, reported by financial advisor and blogger Barry Ritholtz in his Bloomberg View column, came in a year when Gross’s flagship fund was lagging its peers and his management style caused enough friction for him to bolt for a startup fund at Janus Capital Inc. (JNS) in September. -Asset management is a fabulously profitable business, and when practiced on a large scale the dollars simply fly in the door in vast quantities. Managing stock or bond portfolios is not particularly people- or capital-intensive work, and it doesn’t take appreciably more bodies or technology to manage $10 billion than it does $100 million. Pimco at its peak managed nearly $2 trillion, charging a relatively small percentage as a management fee and more than making it up on volume. I recall veteran value stock and real estate investor Marty Whitman of Third Avenue Funds years ago likening an asset management firm to owning a tollbooth on the George Washington Bridge. Even a broader publicly traded fund company such as Franklin Resources Inc. (BEN) and Affiliated Managers Group Inc. (AMG), a collection of smaller private asset managers, have operating-profit margins around 38% of revenue. That’s a fatter margin than Apple Inc. (AAPL) now enjoys. Pimco is a compact operation running an enormous pile of other people’s wealth. Bond-portfolio management is something of a natural oligopoloy, with significant advantages to scale, which gives a manager heft in trading and a strong claim on new bond issues that are so integral to fixed-income investing. Ritholtz uses guesstimates to arrive at $9 billion in revenue on some $1.82 trillion in asset under management. If it ran at a 38% profit margin - a lowball estimate for Pimco - operating income would be $3.42 billion, from which the reported $1.5 billion 2014 bonus pool would have been drawn. -Gross helped found, and with a smallish group of colleagues owned equity in, the firm and retained functional control even after German insurer Allianz (AZSEY) bought control in 1999. There are interesting questions to ask about why the “take” of the top executives was so big, and Felix Salmon discusses them here. But the fact is, there probably wasn’t any logical “business purpose” to which a big chunk of the $1.6 billion bonus kitty should’ve been put to. If Allianz did not arrange to take more profits upstream, where ought they have gone? Unlike a bank, earnings at an asset manager aren’t particularly useful to build book value that provides a capital cushion to be leaned on in tougher times. Pimco’s Newport Beach, Calif., offices were nice enough, its Bloomberg-terminal fees presumably paid on time. Maybe the firm could have acquired another manager or recruited a bunch of new investing talent, but in general capital spending at an “asset-light” people business isn’t much of a thing. -Which brings us down to a possible lesson for investors: There is a downside to placing money with any firm that is already so huge that the management fees alone generate delirious profits in the short term, no matter what the funds’ investment performance. Pimco got huge not by some fluke, but because Gross had one of the greatest runs of outperformance in his flagship Pimco Total Return fund (PTTRX) that any investor has ever had over several decades. Gross is credited with pioneering the very category of total-return bond investing, seeking bonds not only for income and soundness but for possible capital appreciation too. Yet investors need to recognize that when sending cash to the biggest fund that got there through a good long-term record, they are not only chasing performance but are quite directly paying the manager today for what he achieved over many yesterdays. That worked for a long time for Gross and his former Pimco colleagues. And now, for Pimco, it’s running in reverse, as some $50 billion flowed out of Pimco funds following Gross’ September departure and reports of internal dissension at the firm. Pimco will remain an enviably profitable company able to pay its people generously. Just not quite as profitable or as generous as last year, when it stood at the pinnacle of a 30-year bond bull market, pulled there by the guy who, for better or for worse, became its public face.